Terra Alta, one of the most southern sub-regions of Catalonia, home to the worlds 40% of Garnacha Blanca (Garnatxa in Catalan). Joan Angel Lliberia owner of Edetària, has set the goal of making Terra Alta's most expressive "Garnatxax", white, reds and rosés. 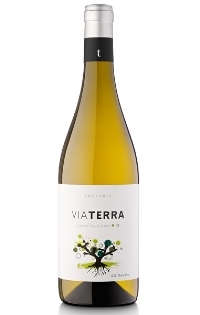 All estate fruit, Edetària is working with guyot and old bush-trained vines on terraced vineyards. Edetària is committed to taking Garnacha to the next level. Some of their Garnatxa Negra has mutated into Garnacha Peluda, which means "hairy". The leaf has developed hairs on its back side, which retains better moisture during the hot summer months, giving more natural acidity to the wines. Working with five soil types (Tapas, Tapas blanc, Vall, Panal and Codols) each with their own microclimate, Joan Angel (or know as the "silver fox" of Terra Alta) is dedicated to making wines packed with minerality, freshness in a Mediterranean climate.